Calvert County Tree Service is your best source for commercial and residential tree healthcare services. It has always been our goal to meet and exceed our customers’ expectations by going above and beyond what they would expect. Dependability, reliability and efficiency are what we stand for when it comes to meeting your needs 100% of the time. 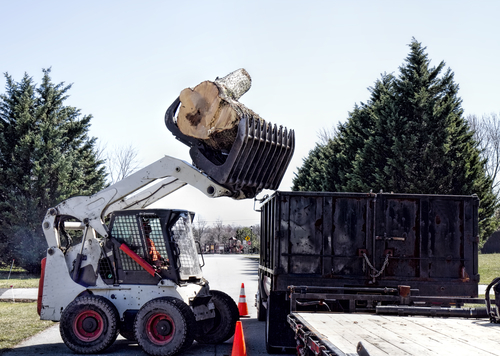 We take pride in our professional and effective tree services. Our locally owned company has served the entire Southern Maryland area for over 15 years. We provide services from tree trimming, pruning, tree removal and stump grinding, also emergency services for residential as well as commercial properties. Our years of service have helped us build a strong customer base and have made us one of the most dependable tree service providers in St Leonard. We pride ourselves in providing our customers with professional workmanship, personalized service and competitive pricing that you can count on and afford. We not only have the man power, but, all of our tree trimmers and pruners have the knowledge and vision it takes to keep your trees healthy and beautiful. When you need tree removal services at your home or business, or just want to take good care of the trees on a property, we’re here for you. We offer prompt, reliable tree service by highly skilled professionals. No job is too big or too small. We are a locally operated business with reasonable rates and an excellent safety record. Our goal is to ensure that every project receives 100 percent dedication and personal attention from our friendly, dependable staff, while maintaining consistent communication throughout the project. Contact us and experience the difference of working with a company that places your satisfaction as their primary goal. 100% Satisfaction Guaranteed or your money back! They scheduled me quickly and the prices are affordable!